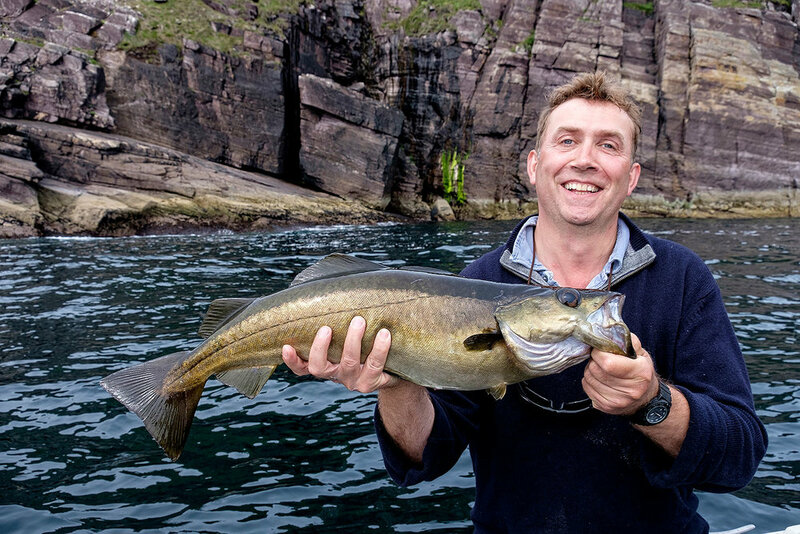 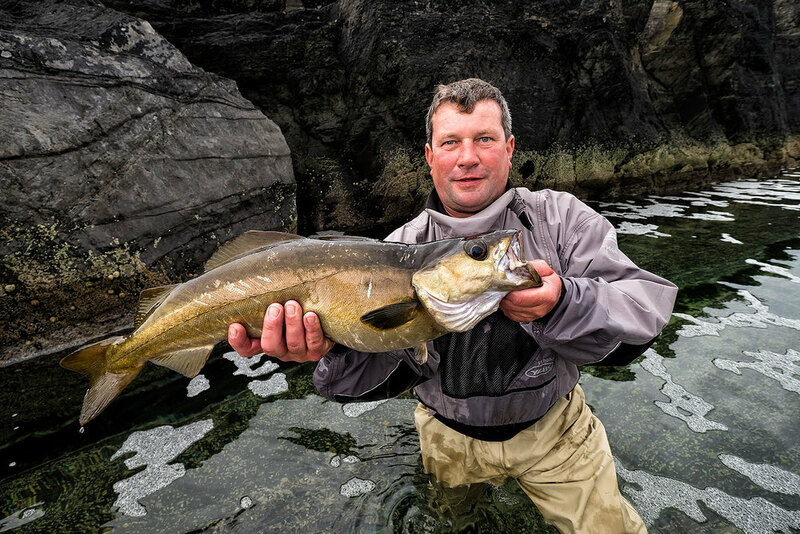 I am working with one of the finest bass fishing guides in Europe, and together we are offering some rather unique guided bass and lure fishing trips in Kerry, one of Ireland’s most beautiful and unspoilt corners. 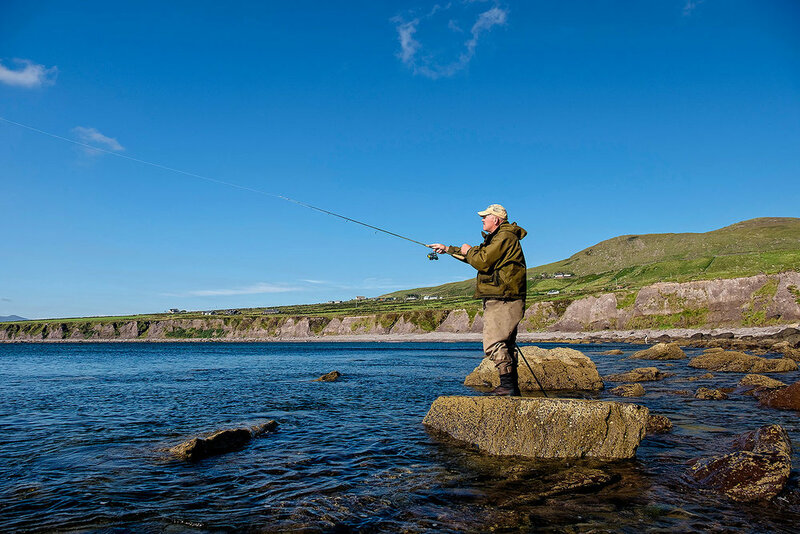 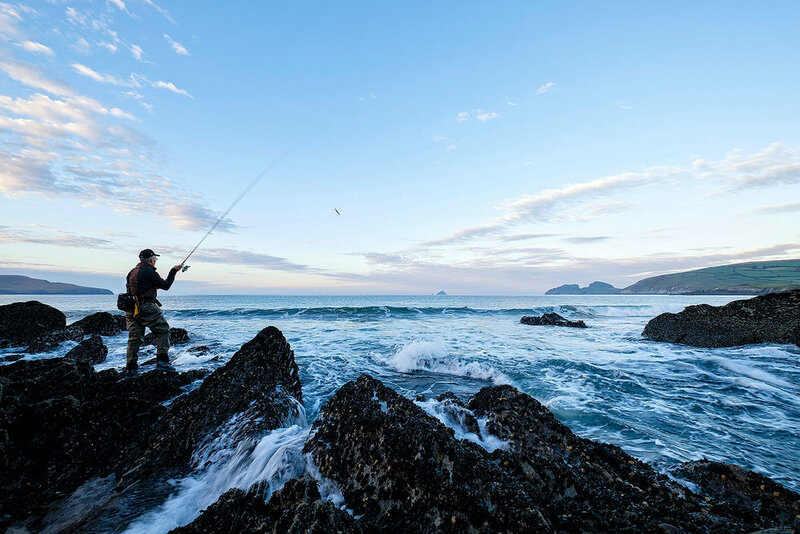 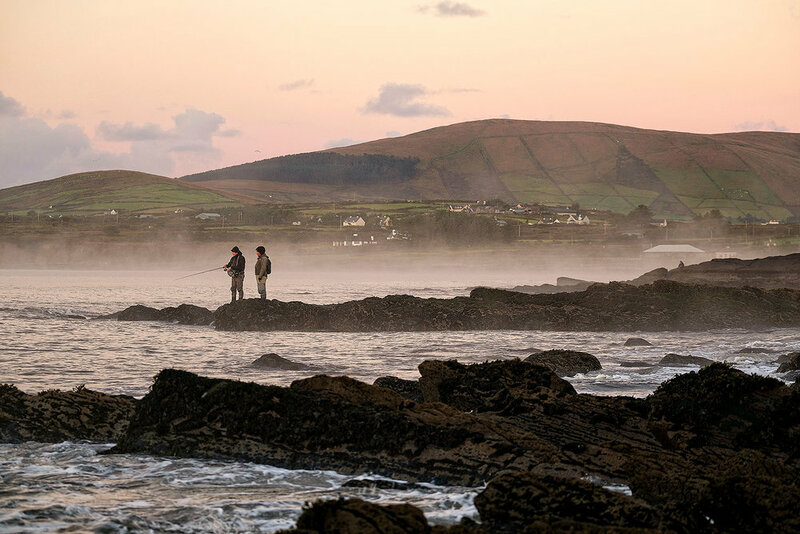 John Quinlan and his wife Lynn have run the successful Thatch Cottage Fishing Lodge business for many years now - they overlook the breathtaking Ballinskelligs Bay close to Waterville in Kerry. 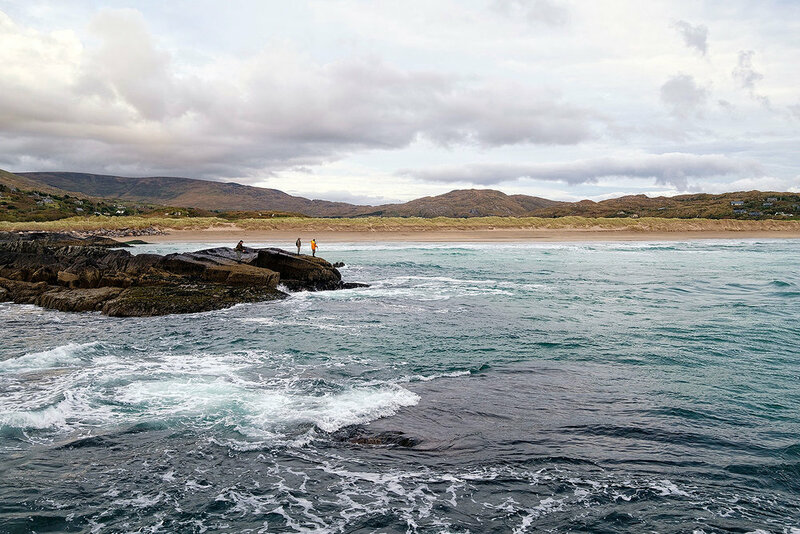 Closest airports are Kerry, Cork and Dublin, and ferries come into Rosslare and Dublin. 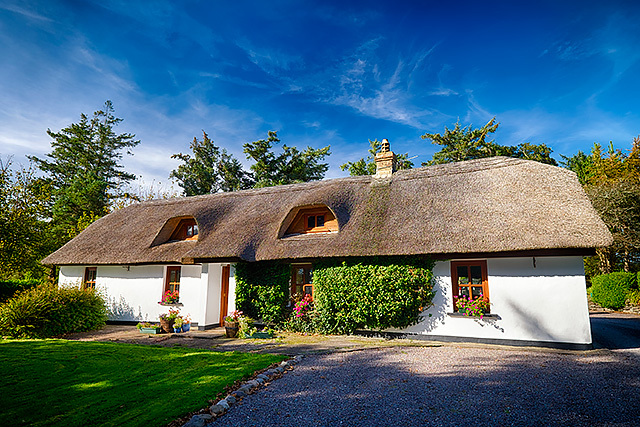 Thatch Cottage Ireland is full board accommodation, and the food is excellent! 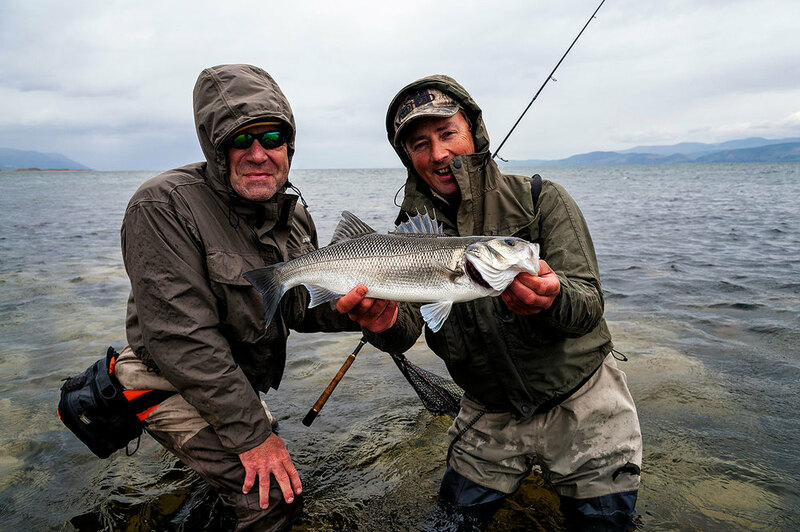 I am hugely proud to be working with John Quinlan at Thatch Cottage Fishing Lodge - we are offering a select few trips together that are based around four days fishing/five nights full board accommodation, and whilst bass are at the top of the list, there are plenty of other options when it comes to the fishing and weather - salmon, trout, mullet, pollack, wrasse, sea trout etc. 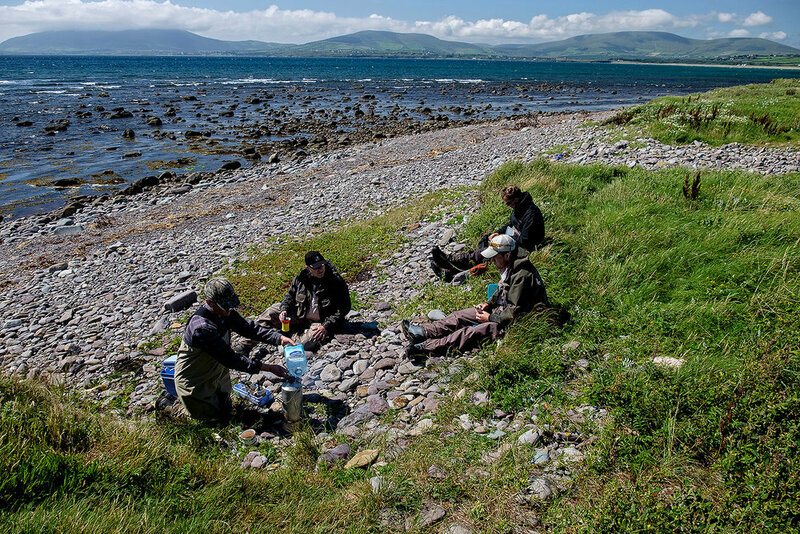 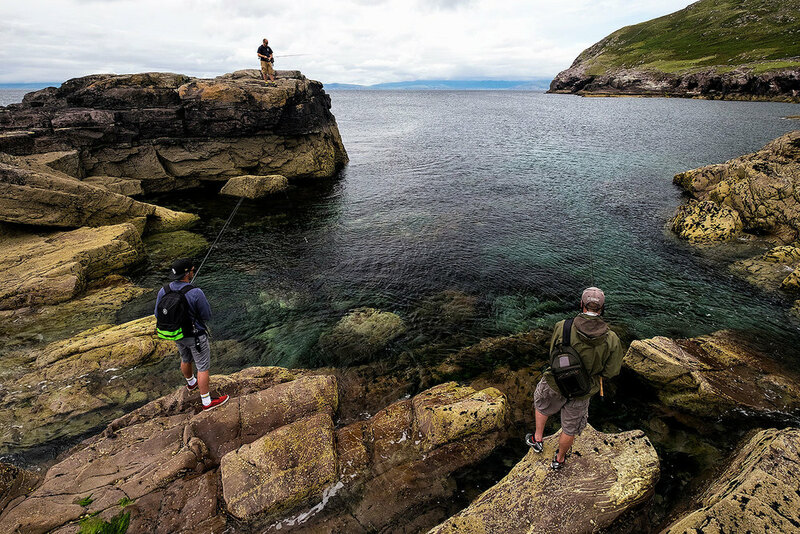 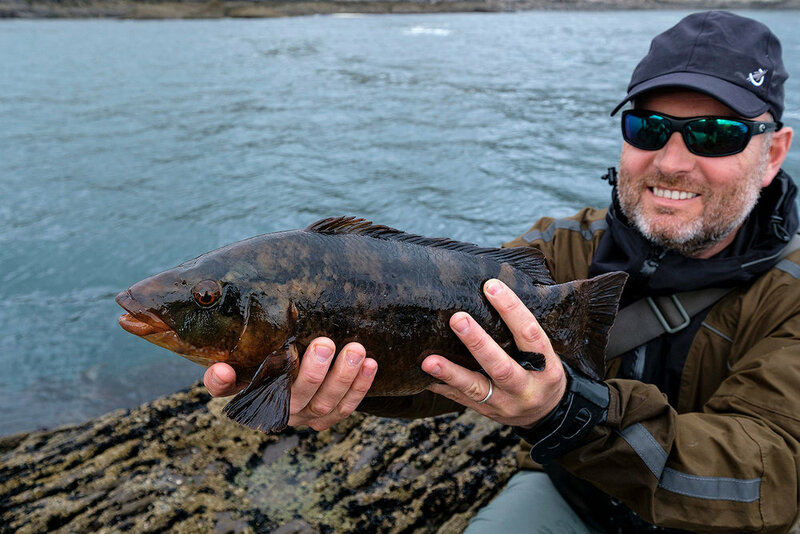 A crash-diving pollack hooked from some quiet rocky outcrop takes some beating, and without a doubt Kerry in Ireland has some of the best shore fishing you could hope to find. 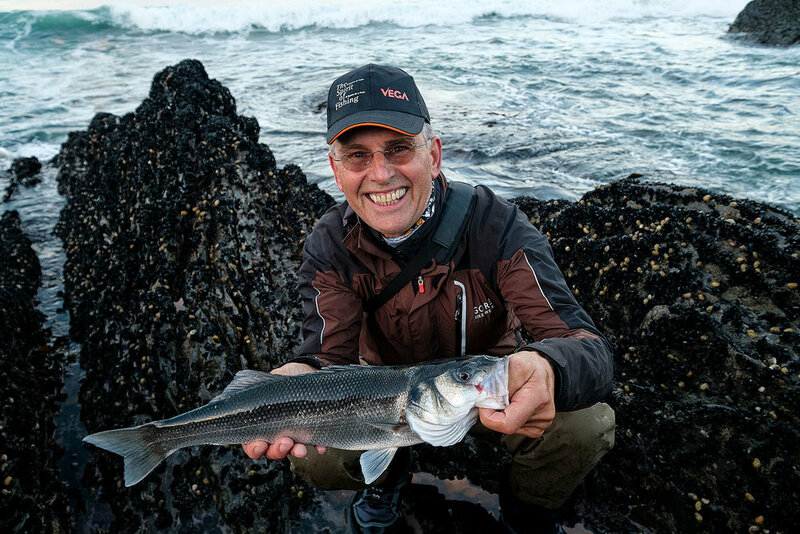 Please get in touch if you would like to know more, and let John and I help put you onto some fish in a truly magical corner of the world. 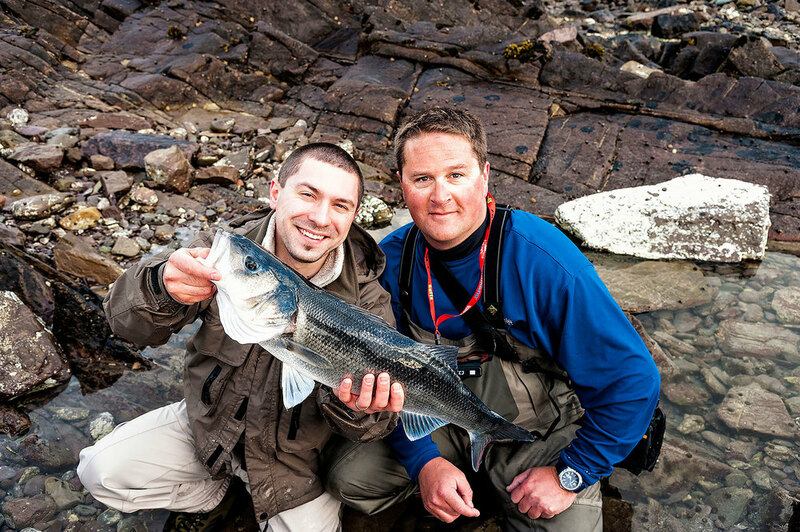 John and I are offering these co-guided fishing trips in summer and autumn. 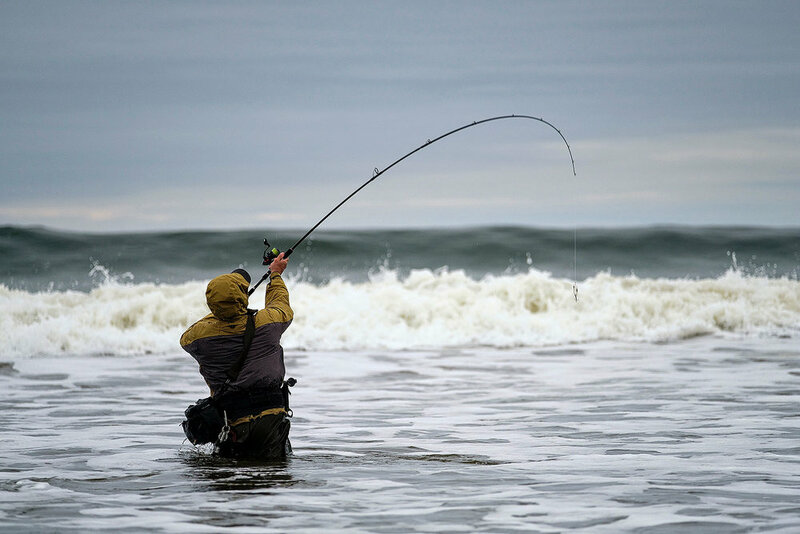 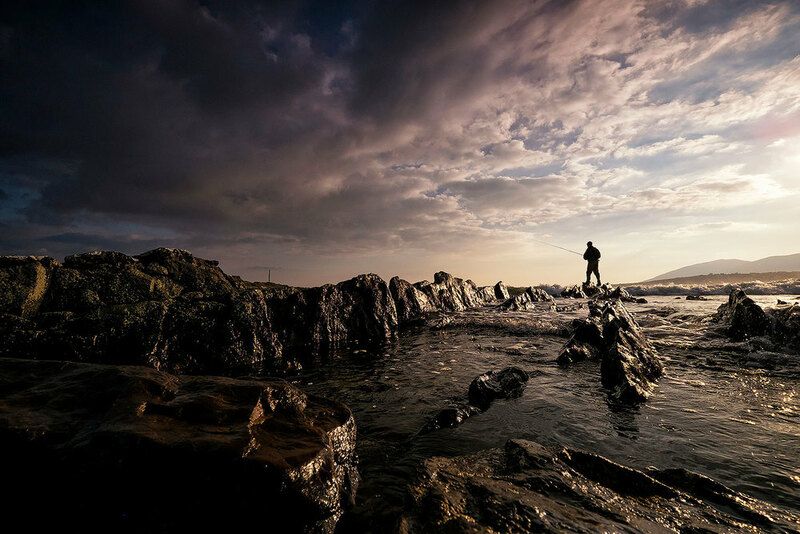 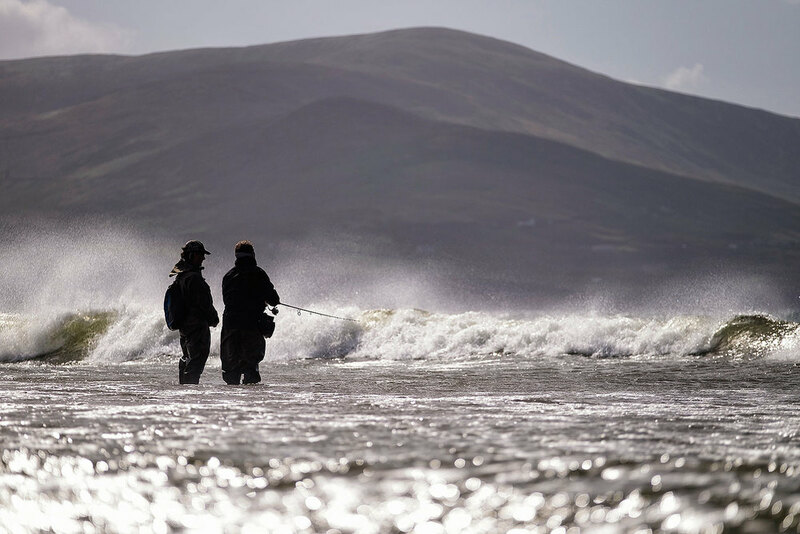 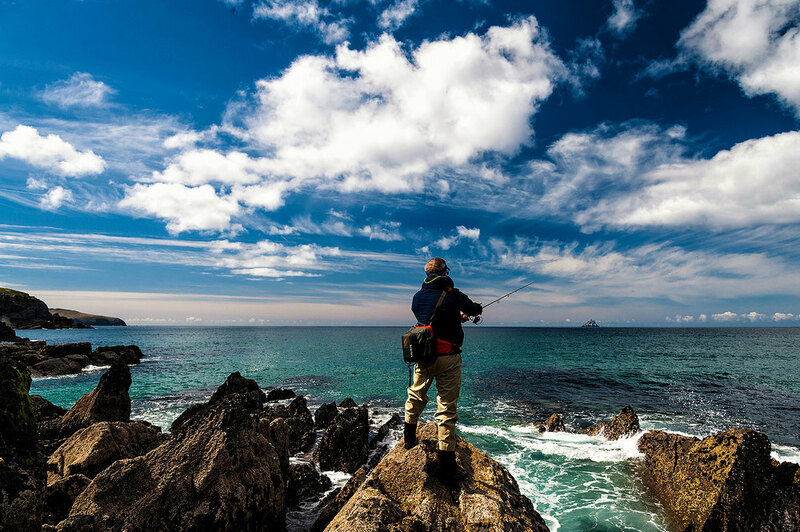 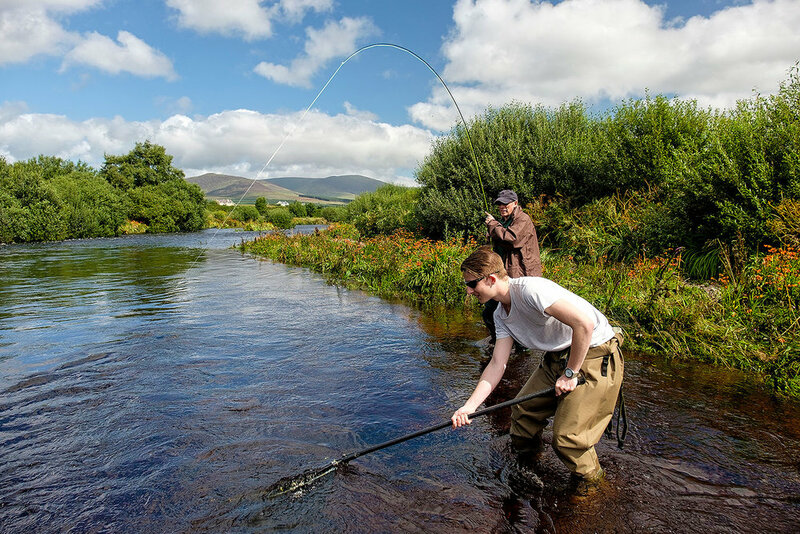 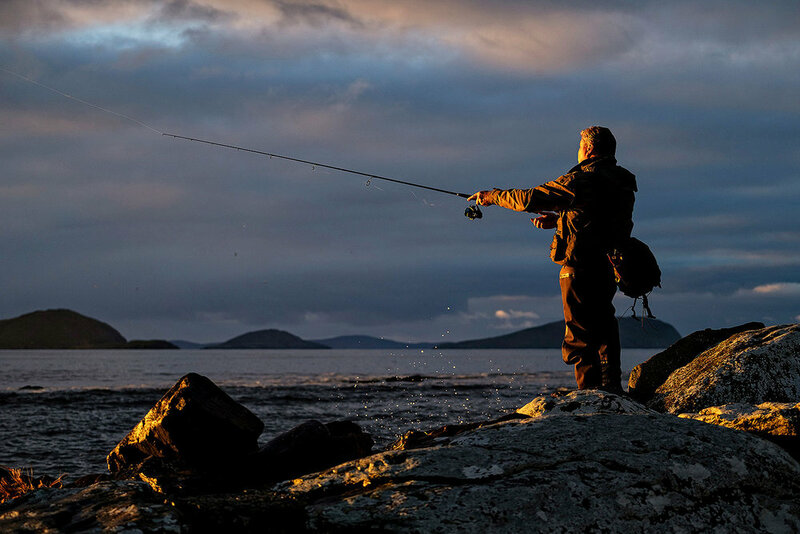 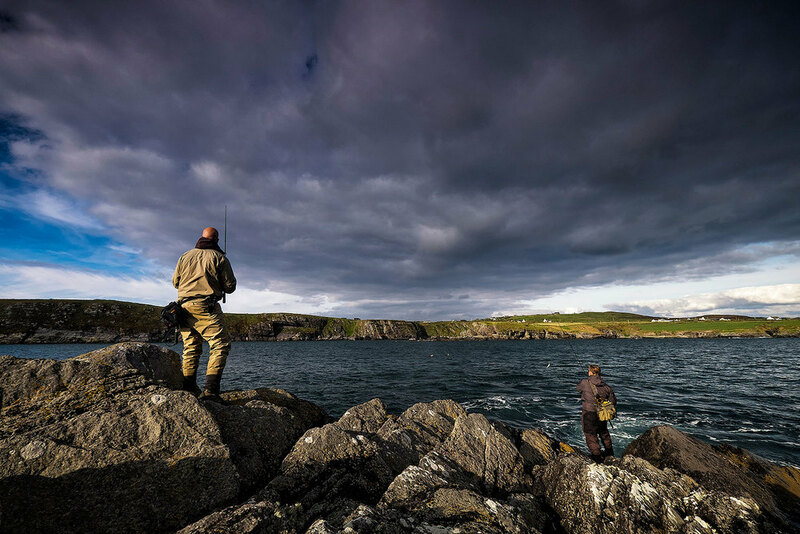 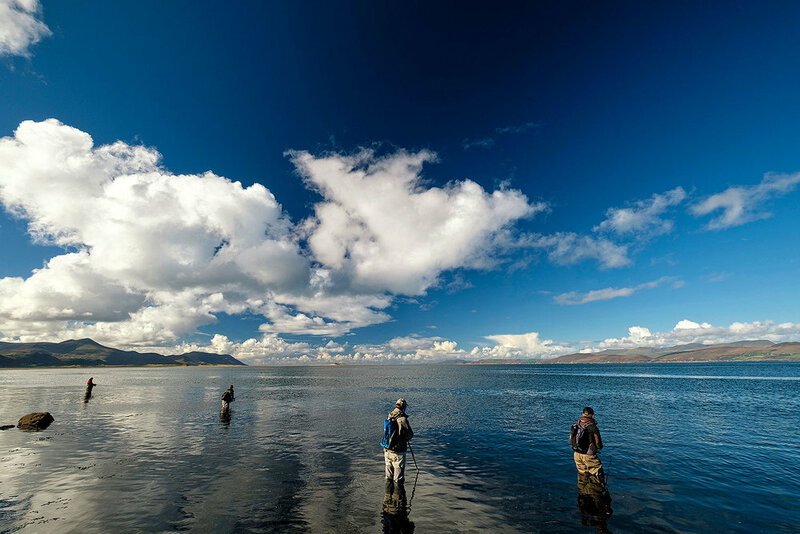 Bass fishing in Kerry is a long season, and the beauty is that whatever the weather does there is always a viable fishing option. 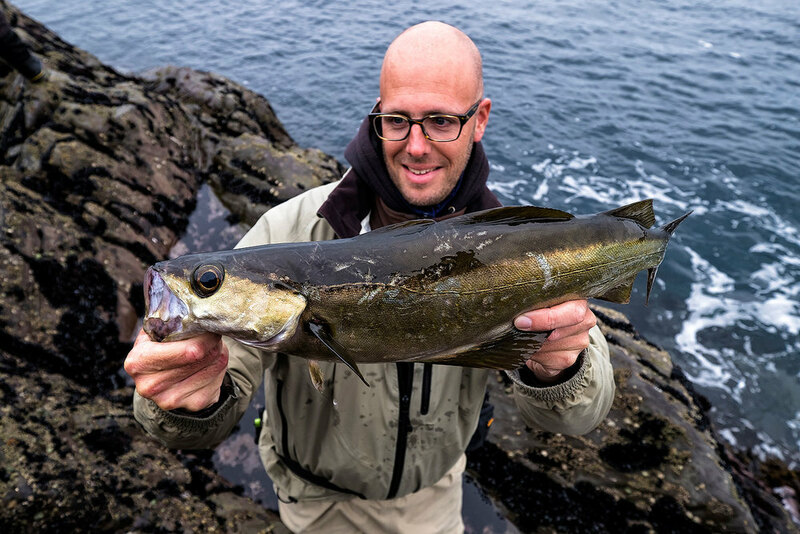 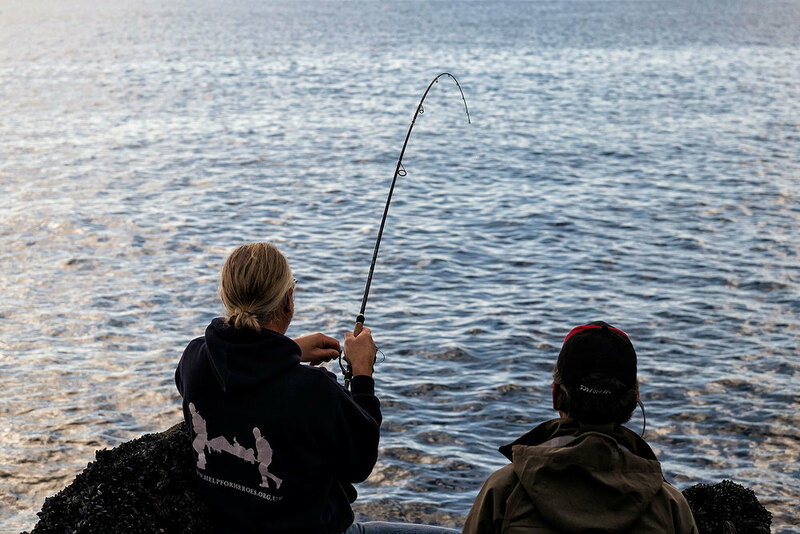 Summer and autumn tends to offer the most variety of fish species. 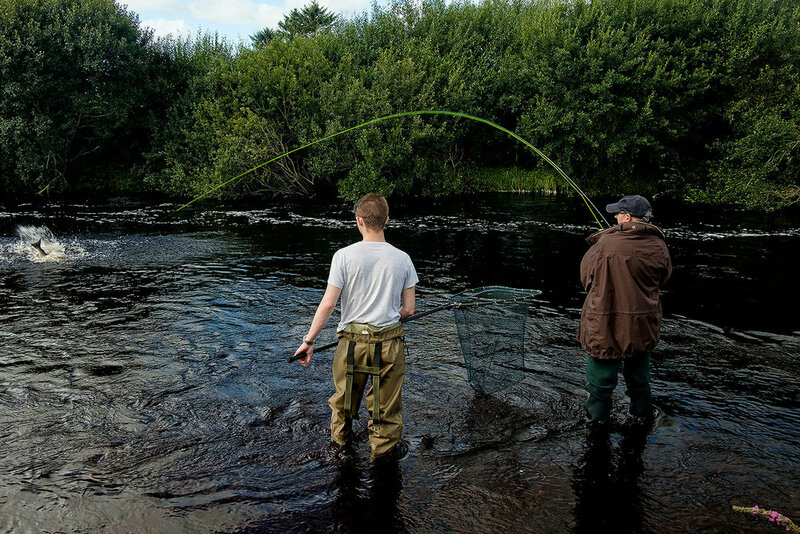 I am also here to help you out with all things fishing photography related. 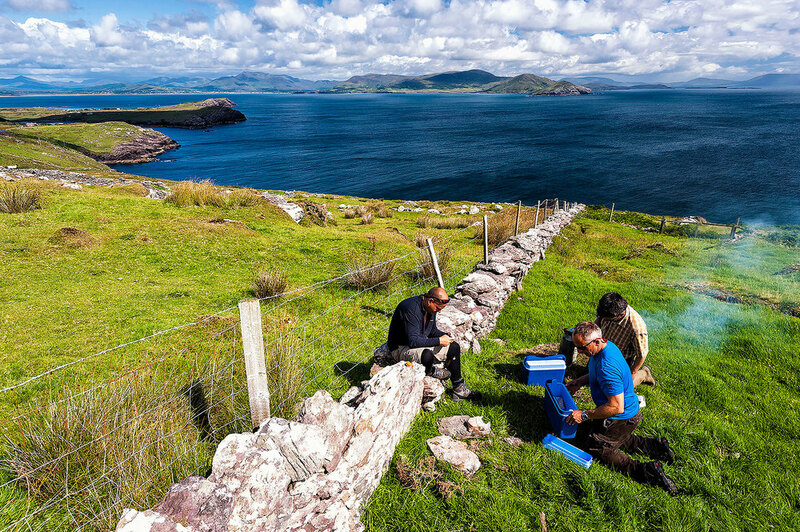 Please get in touch if you would like to make a booking or ask for more details about my guiding work in Ireland. 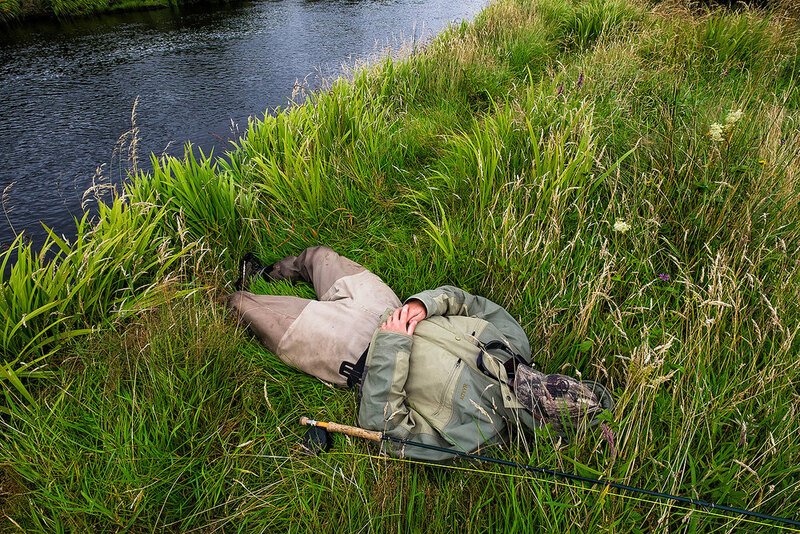 Fill out the form, click Submit, and as if by magic it will enter my email system.